Thank you for your interest in a membership with the Chrysler 300M Enthusiasts Club. 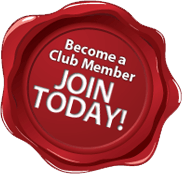 The initial cost to join as a Club Member is $14.95 USD and goes towards keeping the website and forums active. After joining, new members will receive a personalized membership packet in the mail with a welcome letter full of valuable information, club cling for your car window, wallet size membership card, business cards you can use to tag other LHs, and a certificate of recognition. Annual membership renewals are only $9.95 USD thereafter and are also processed below. Please select Club Member or Renewal to go to the Membership Checkout page. Here, you will provide your contact information and process membership payment via PayPal.com. After completing your payment, you will be given immediate access to the wide range of information, Club Member only pages, and may begin your club participation. Thank you again and welcome to the club!